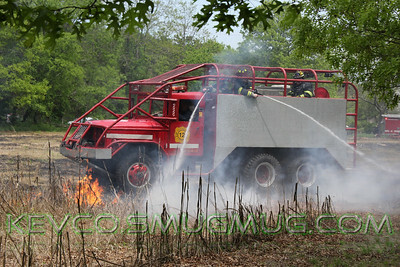 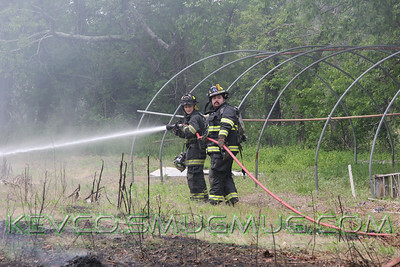 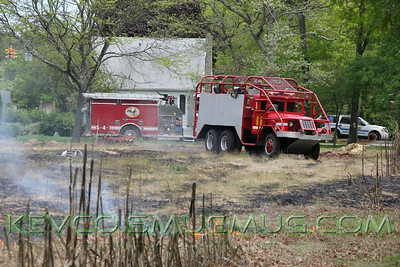 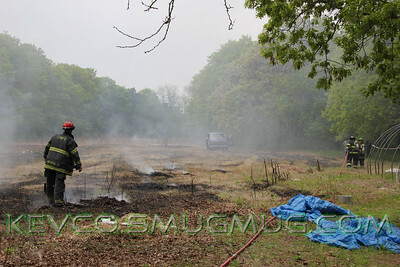 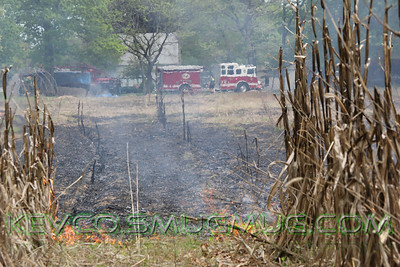 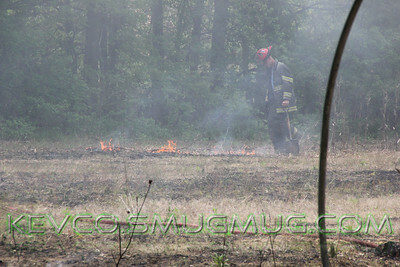 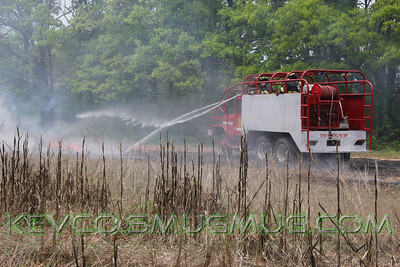 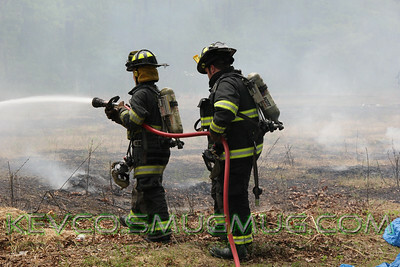 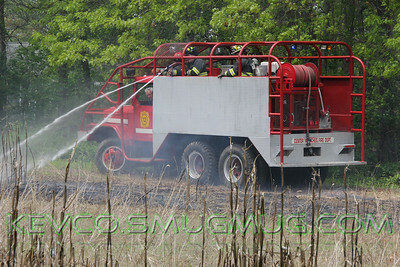 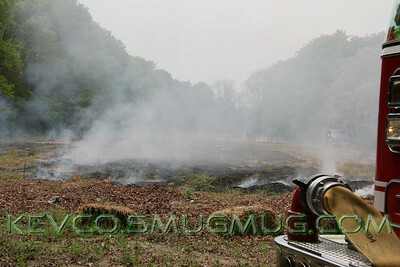 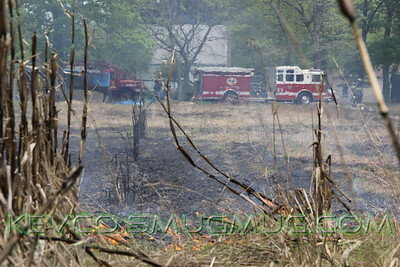 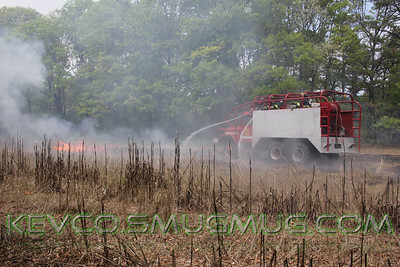 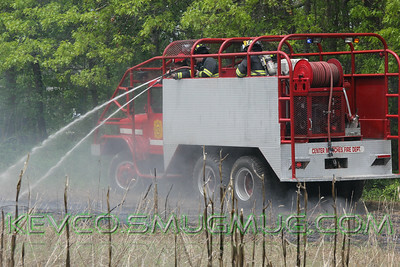 On May 21, 2014 Center Moriches FD was activated for a Brush Fire in the vicinity of Railroad Ave and the Sunrise Service Road South. 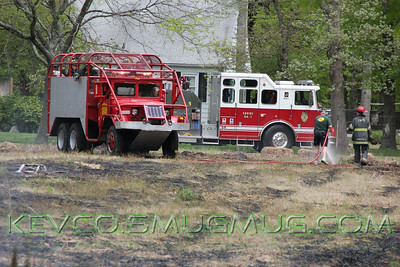 Chief Ronald Primus, 5-4-30, was first on scene and requested a pumper and brush truck to respond. 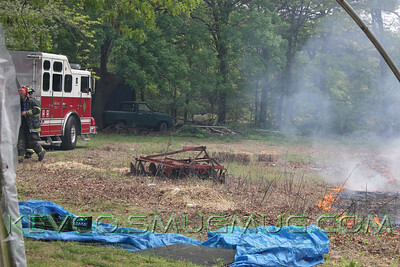 Engine 5-4-1 was the first unit to arrive and the crew quickly started to knock down the fire on the east end, which was approaching a shed and chicken coup. 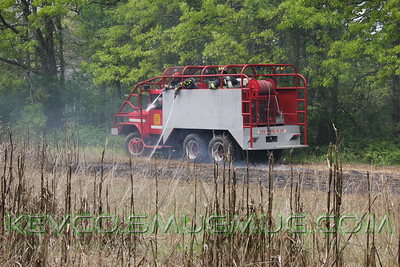 Upon arrival of 5-4-12, GI Brush Truck, which arrived with a light crew did combine with the crew from Engine 1 to continue knocking down the active fire with the brush truck. 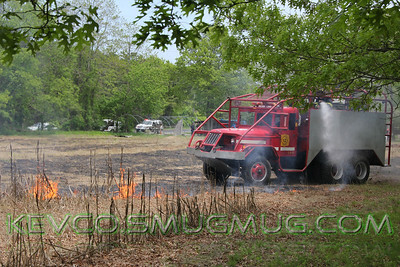 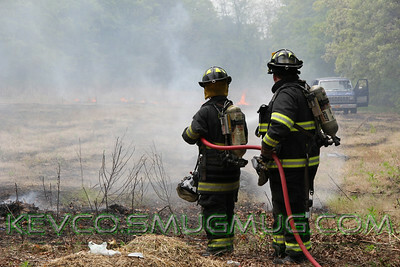 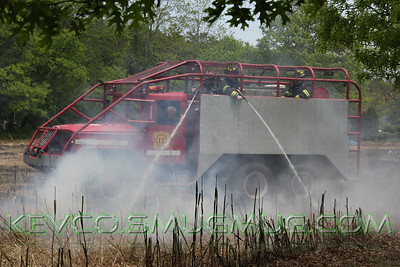 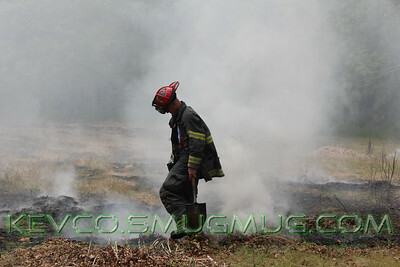 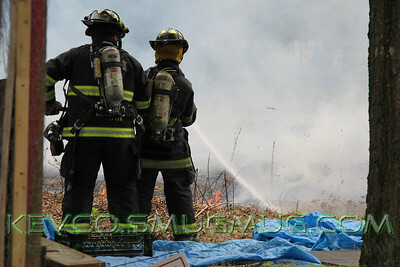 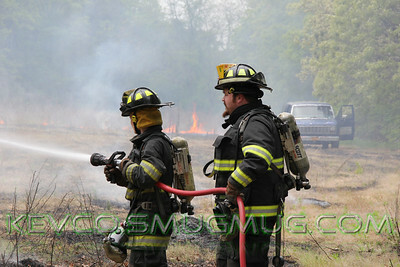 Chief Primus requested Brookhaven Town Fire Marshall to respond, 5-0-45 arrived on scene shortly thereafter. 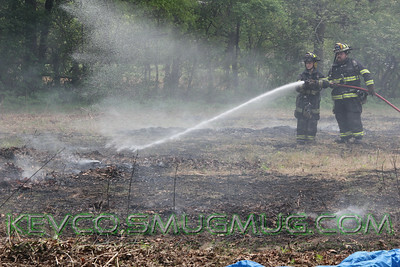 While crews worked on putting out the fire, Fire Police 5-4-10 responded and closed eastbound traffic on the Sunrise Service Road just west of the scene due to the smoke condition passing over the roadway. 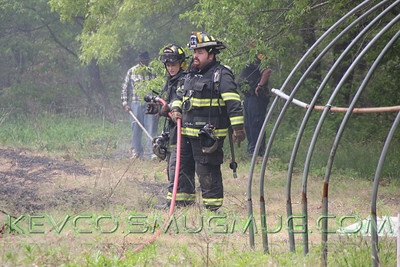 Chief Primus transmitted a signal 4 within a half an hour from the time of activation and all units were back in service less than an hour from activation. 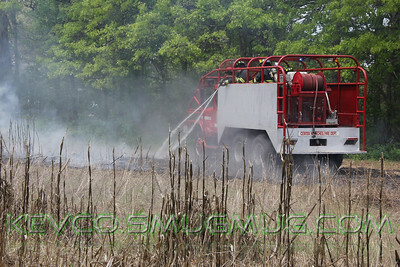 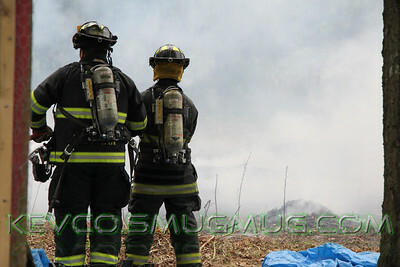 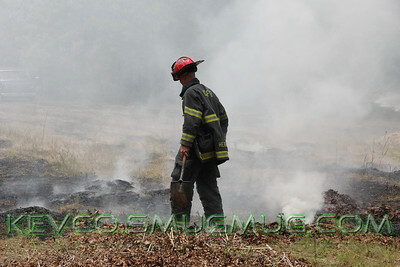 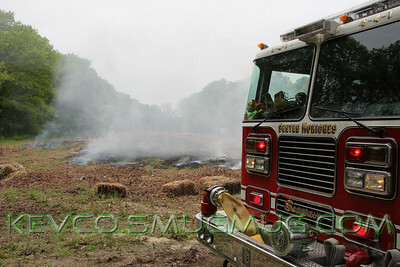 The fire consumed an area of the farm land approximately 100’ x 400’ in size.